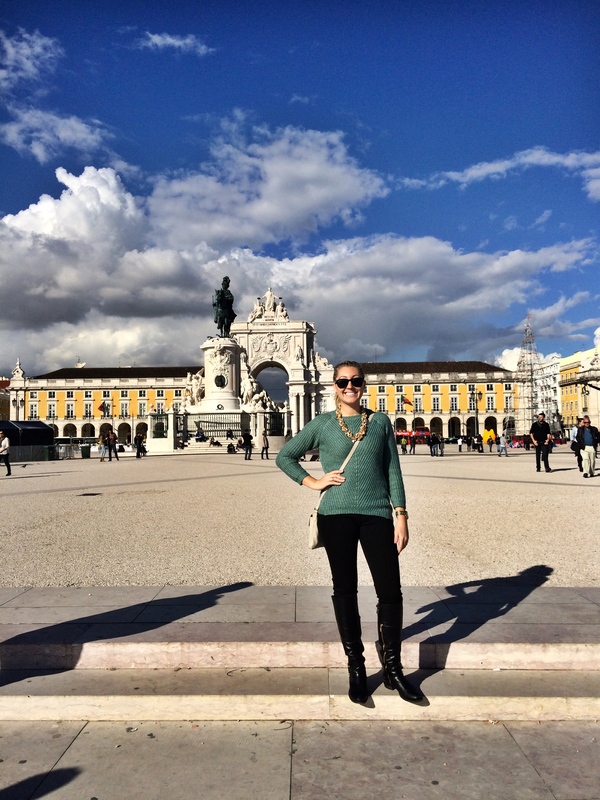 Lisbon is a hop, skip, and a jump away from Madrid. An ideal weekend getaway when you need a change of scenery. When I visited recently the weather was gorgeous, the people friendly, and the hills steep. Aside from that it also sits on the edge of water: something I hadn’t realized I missed seeing until I arrived at the airport and was happily greeted with ocean and palm trees. As we neared our hostel via the aerobus I began to notice works of art covering many of the buildings. Beautiful, creative, and thought provoking images. One of my favorites was a woman’s face covering the length of a building. Only her eyes were visible from beneath the colorful cloths covering her. Sadly, trying to take a picture from a moving bus at the last moment is not always the easiest thing to accomplish. 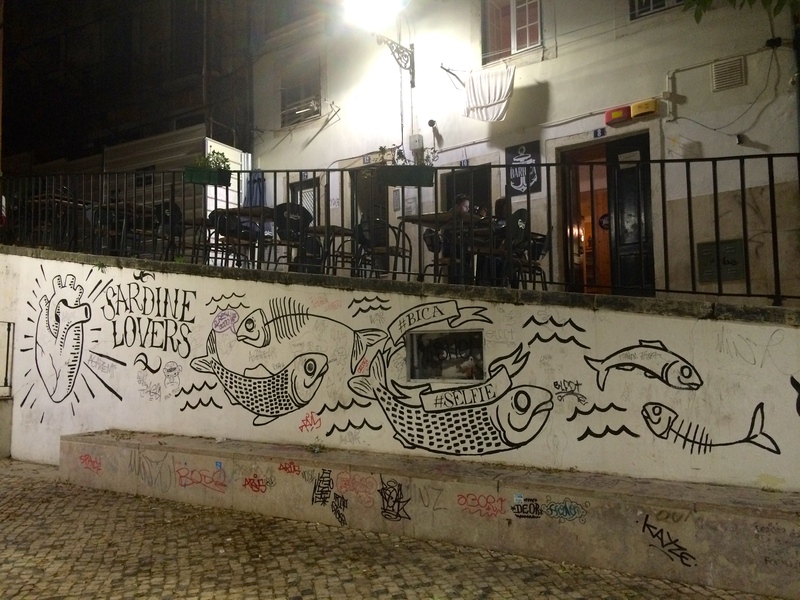 Lisbon is covered in artistic graffiti. It was my last day there that I realized just how much engulfed the city, and by that point it was too late for me to capture many of the exciting works I had seen. Next time I visit, however, you can bet I will. 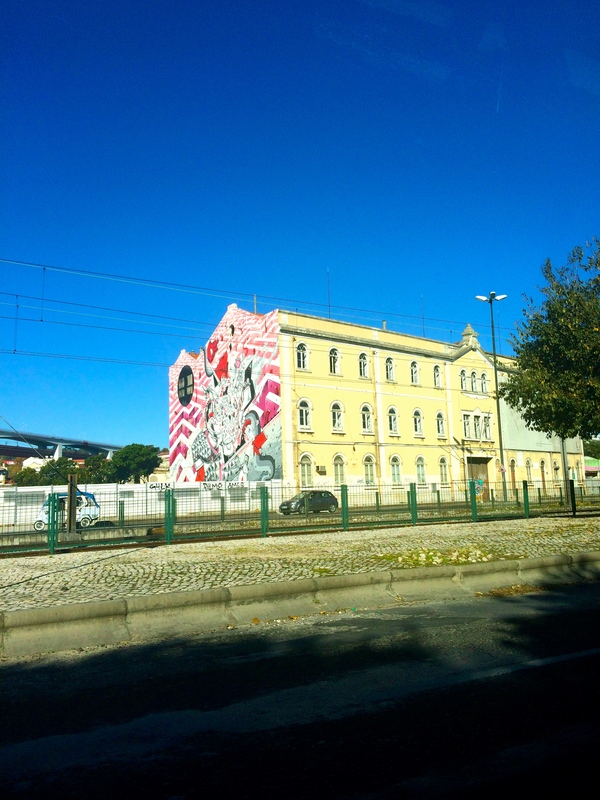 One of the various artistic covered buildings in Lisbon. I took this while running during a race Sunday morning. 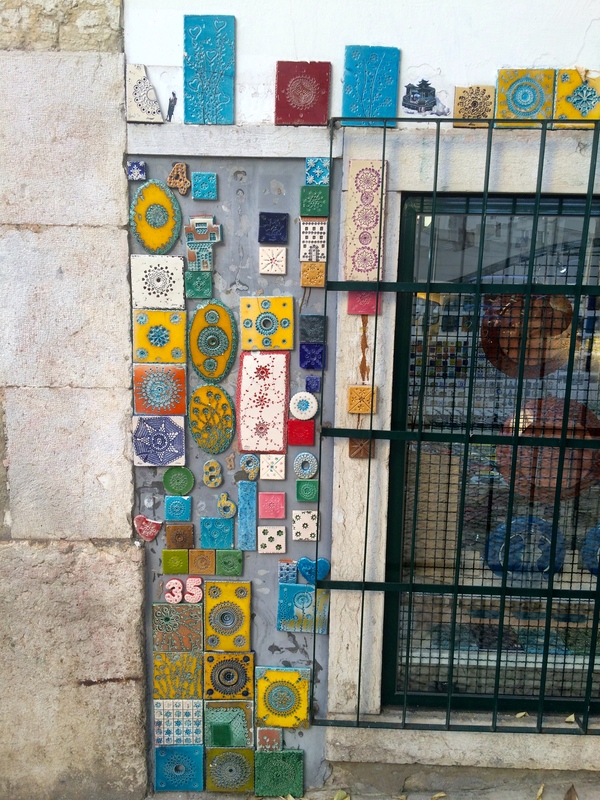 Tiles are everywhere throughout Lisbon! Make sure to pick a few up when you visit. The beautiful thing about a short, early morning flight is that when you arrive at your destination you have the whole day ahead of you. It’s as if you woke up there, but you didn’t, and you saved yourself a night of hostel fees! 😉 You still have the entire day to explore – and so that’s exactly what we did. 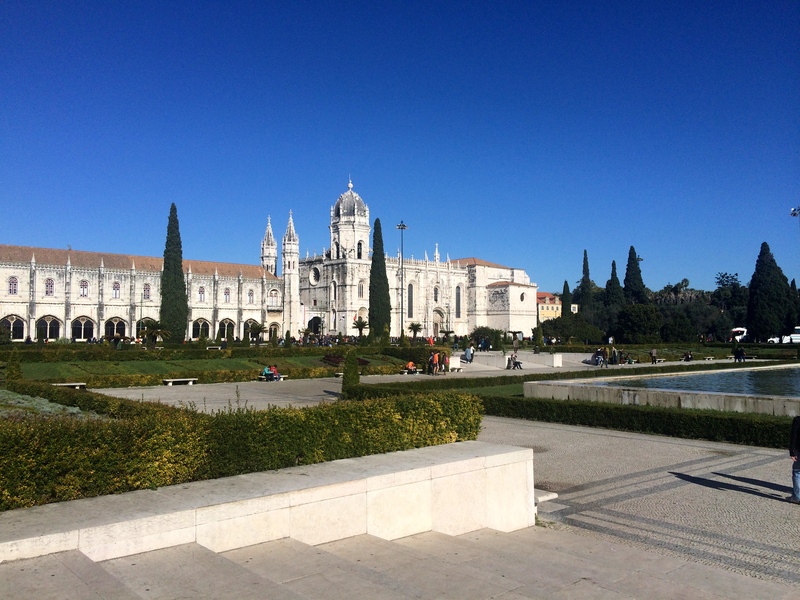 Although Portugal is the most western point in Europe, to me it felt the least westernized of all the countries I’ve traveled in Europe thus far. 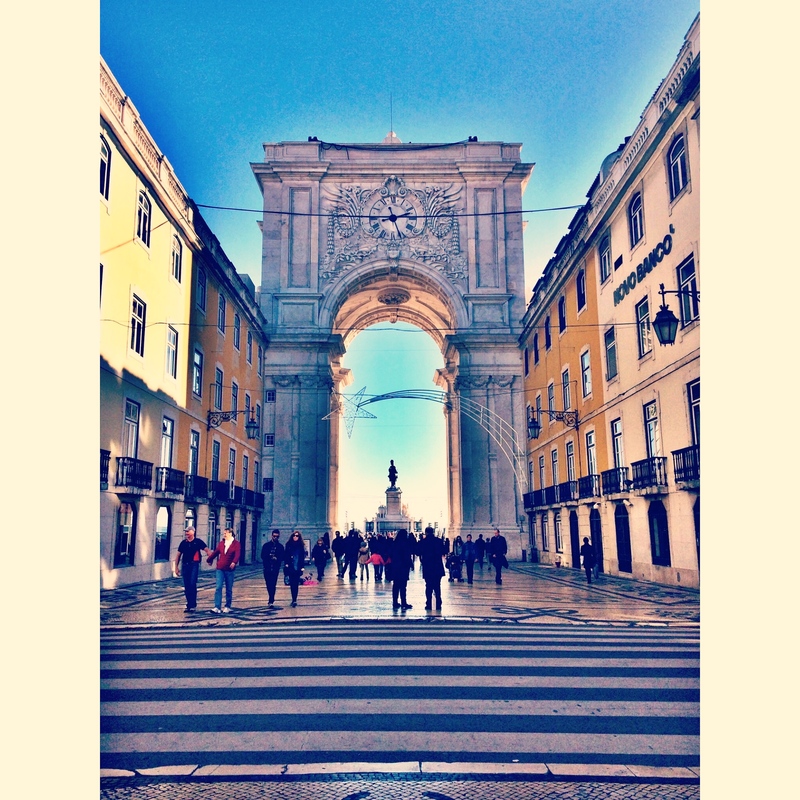 I wouldn’t say least westernized because of its people or shops or food, but because of the architecture. While very old – just like any other part of Europe – a vast amount of the buildings and streets are seen in their original, untouched state. 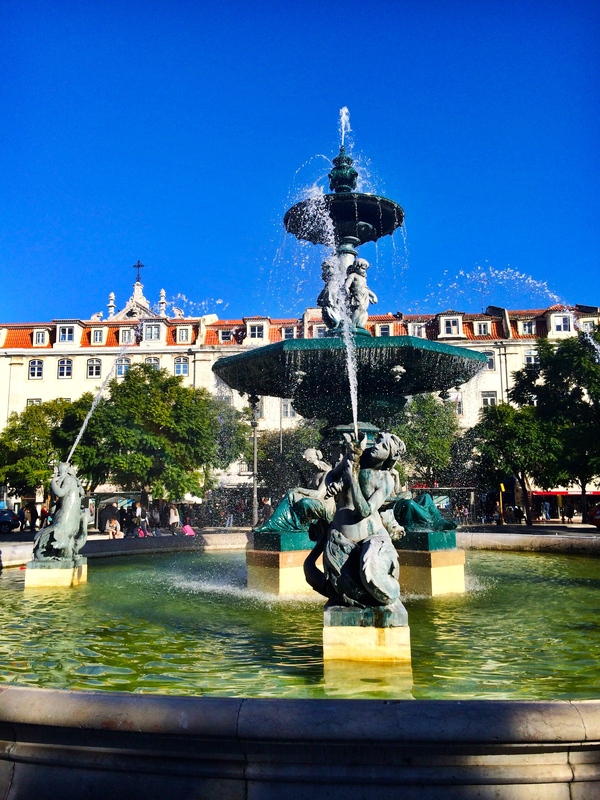 Not everything in Portugal is perfectly restored like other European capitals. 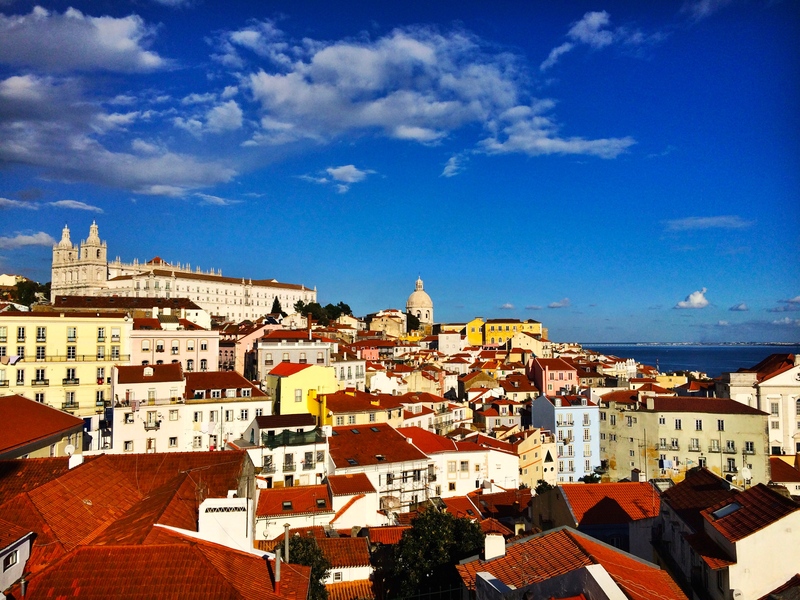 Instead, Lisbon begs to be taken photos of. Calling all tourists! And artists, photographers, travelers… Cobblestones are often missing or out of place along the sidewalks and it’s perfectly ok because the people here actually do move at a slower pace. They are relaxed. I never felt overwhelmed while walking along – which to be fair could also be attributed to that fact that it is December and most tourists descend upon the country during the hot summer months, but I still believe it’s a part of the way of life here. As Europe’s oldest nation-state it has a very long history. 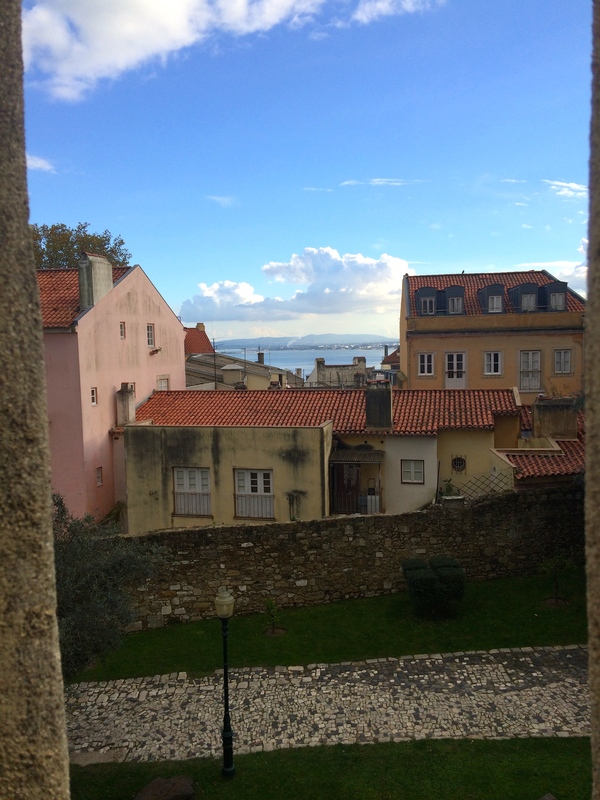 We toured what little remains of the Moorish period in Portugal and enjoyed walking through the Old Quarter, Alfama. 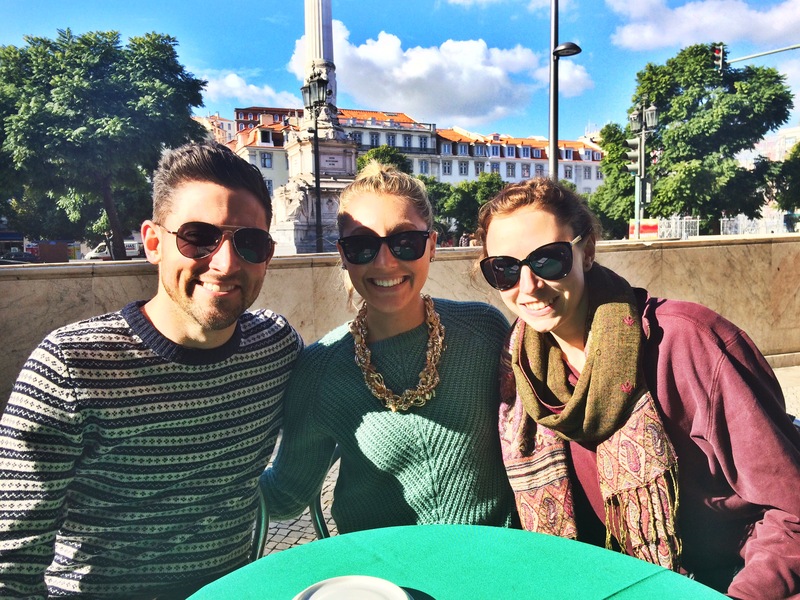 Lined with windy streets, red rooftops, and amazing viewpoints of the city and Tagus River it was the perfect locale for an afternoon walk. 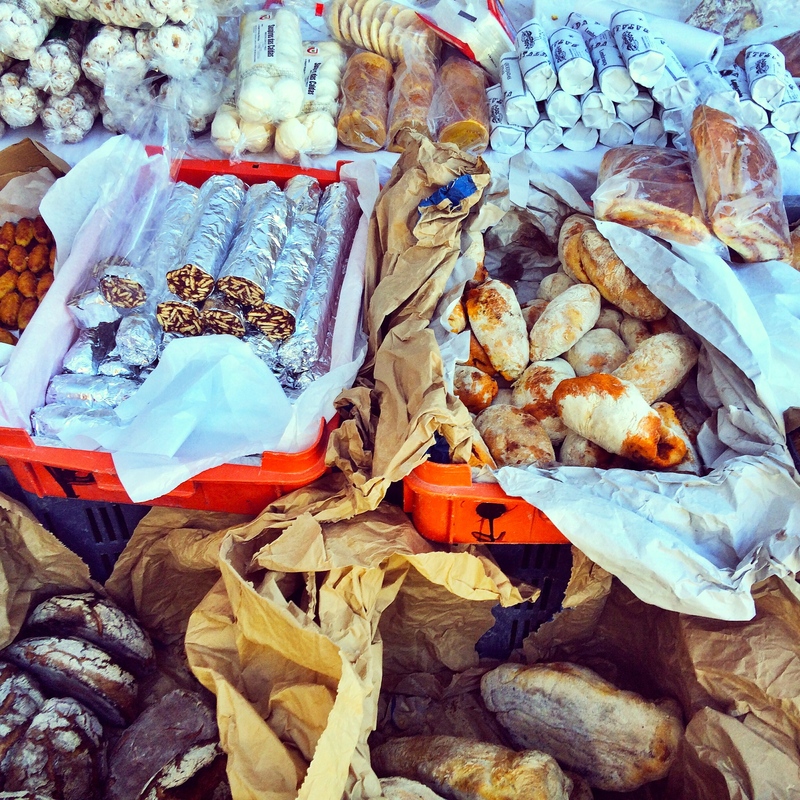 It was here that we first tasted the famous Ginjinha. A cherry liquor that is often drank from a chocolate cup, which is eaten after. The sweet liquor followed by a few bites of dark chocolate is equatable to heaven in my books. It was delicious. 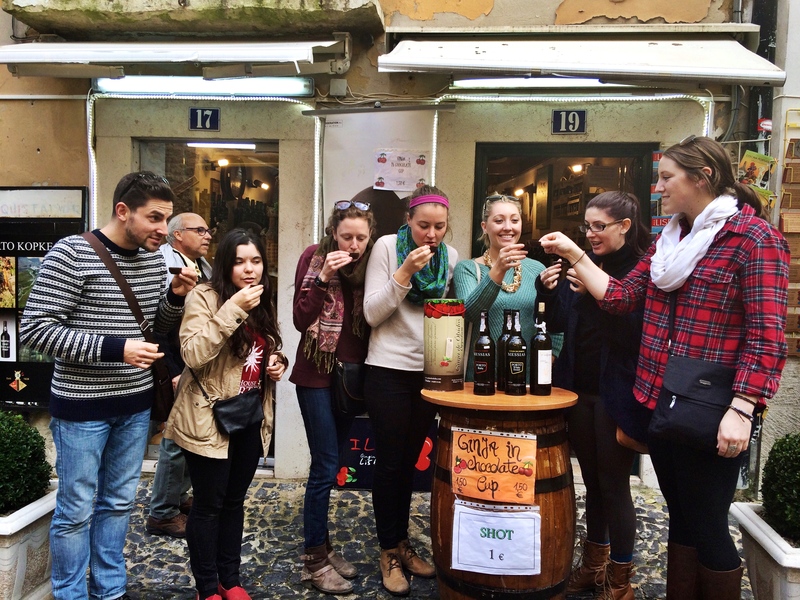 Tasting slightly like a port and also drank the same way – sipped – but, you will do well among the locals to remember port and ginjinha are not the same. 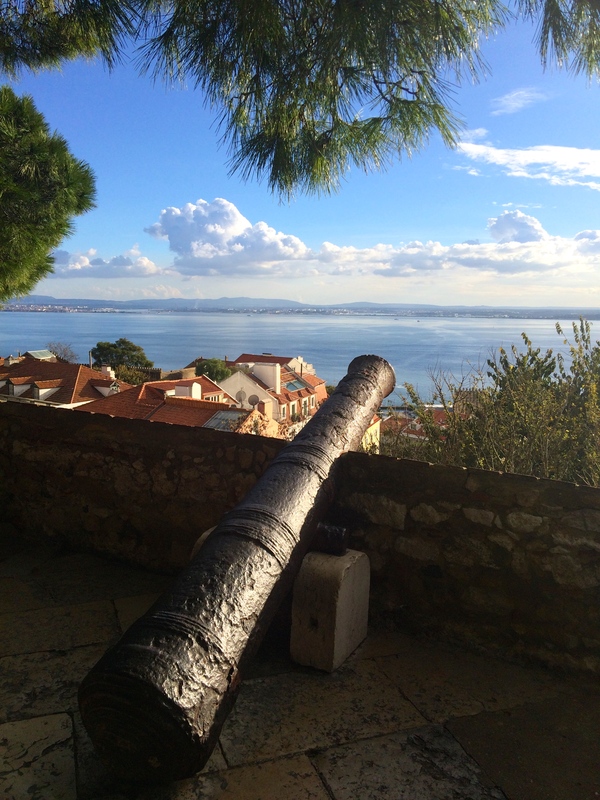 We rounded out the afternoon by taking the tram along the Tagus to the neighborhood of Belém. 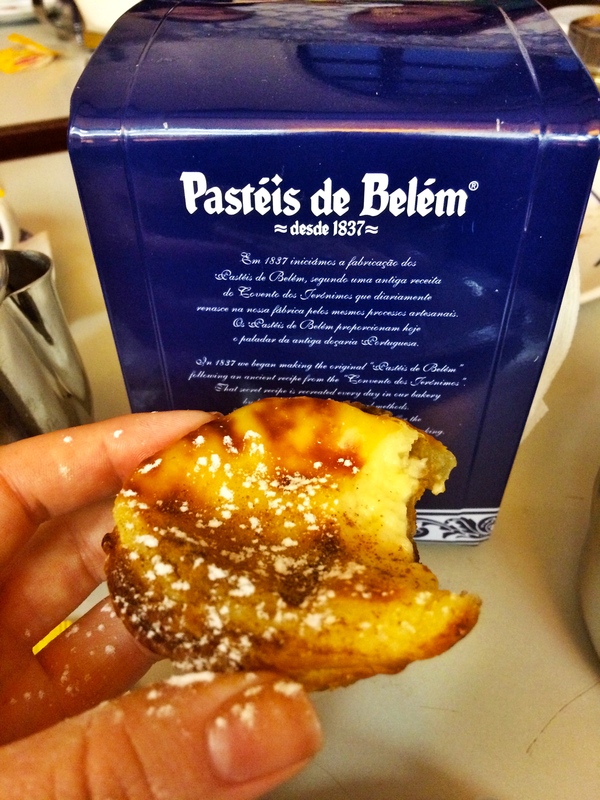 We were in search of the infamous Pastéis de Nata which were created at Pastéis de Belém. We were successful in our endeavor and were more than glad to have made the 25 minute trek. A semi-sweet egg and creme tartlet with flaky pastry dough as the base was a delightful treat. 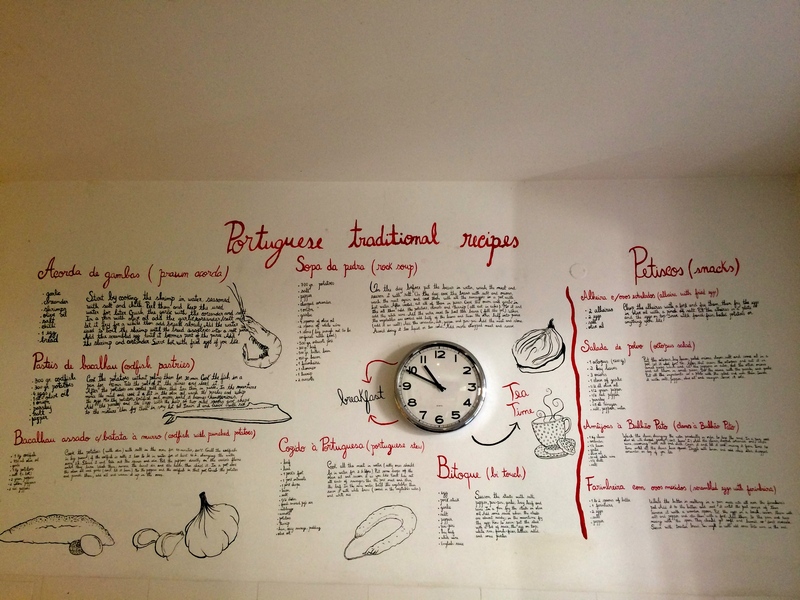 Where the pastéis de nata was created! Scrumptious. We were sufficiently exhausted by the end of the day but managed to make it out for a delicious dinner, recommended by our hostel front desk. Chicken, chicken, and more chicken! Some of the best chicken I’ve ever eaten in my life. 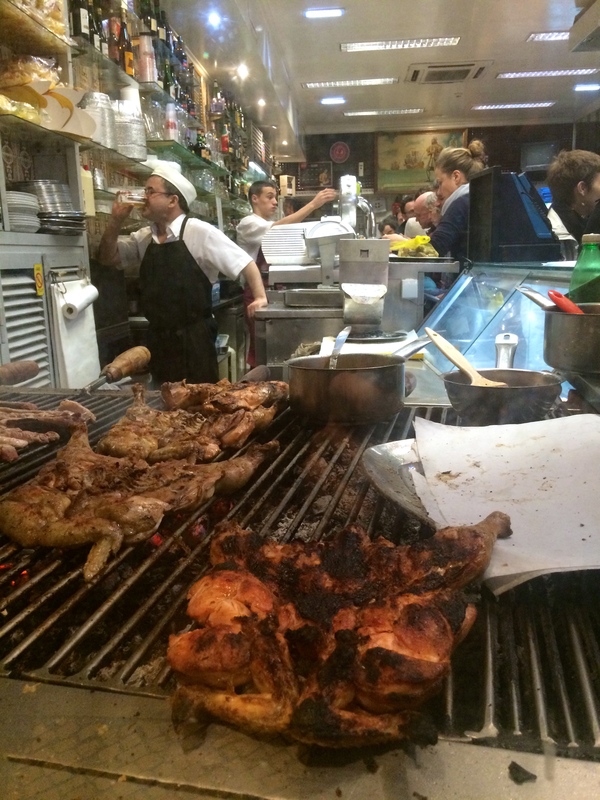 As the place was small and packed with locals, we knew we were in for a good meal. We decided to take taxi’s to and from the exhibit hall after waiting, unsuccessfully, for over 30 minutes for a tram to come by our stop. 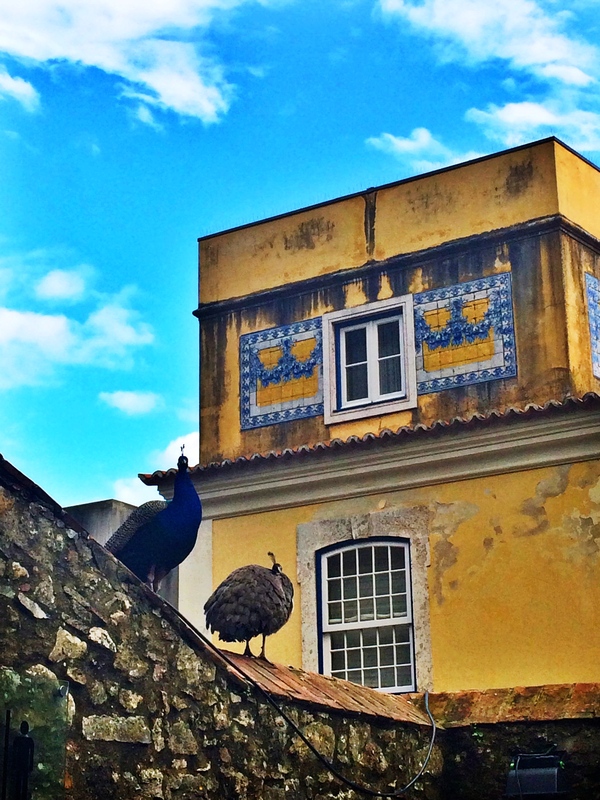 After returning to the hostel we were ready for a short trip out to Sintra – a charming town just 30 minutes outside of Lisbon. 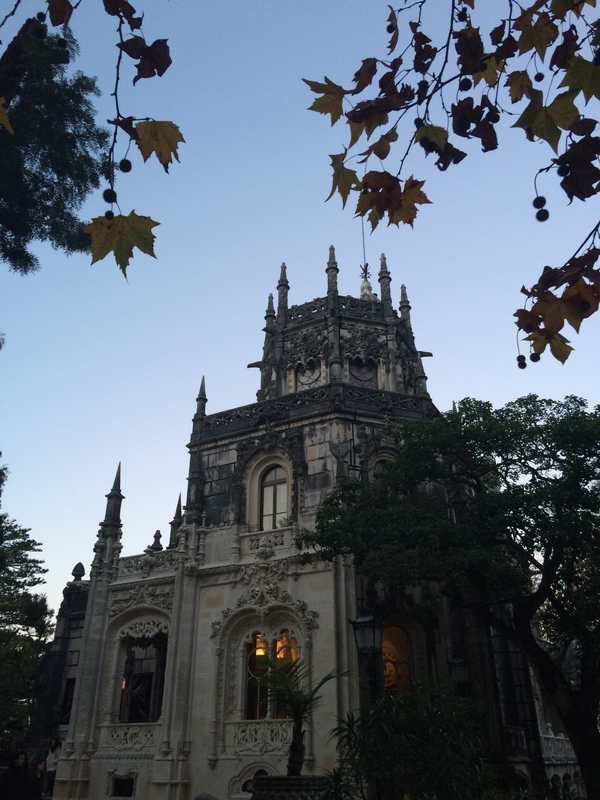 You must go to Sintra when you visit Lisbon. 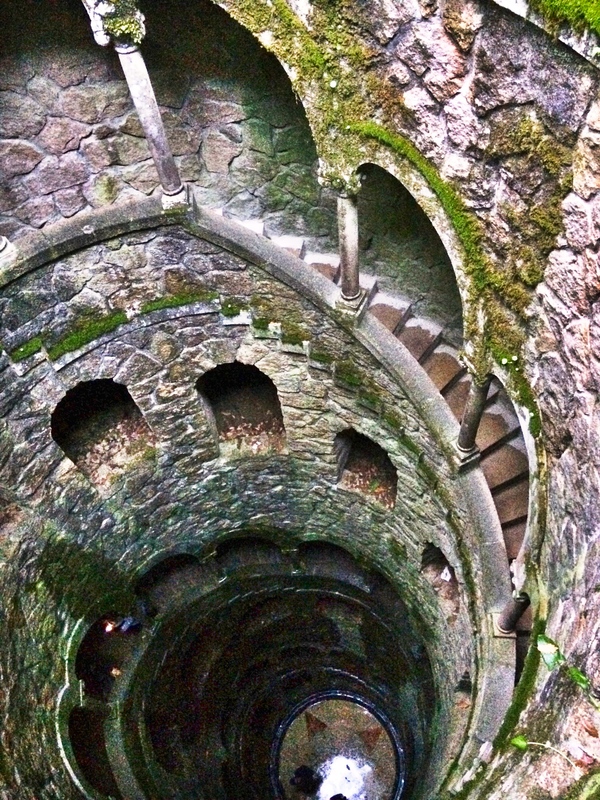 Initiation Well used for ceremonial purposes. 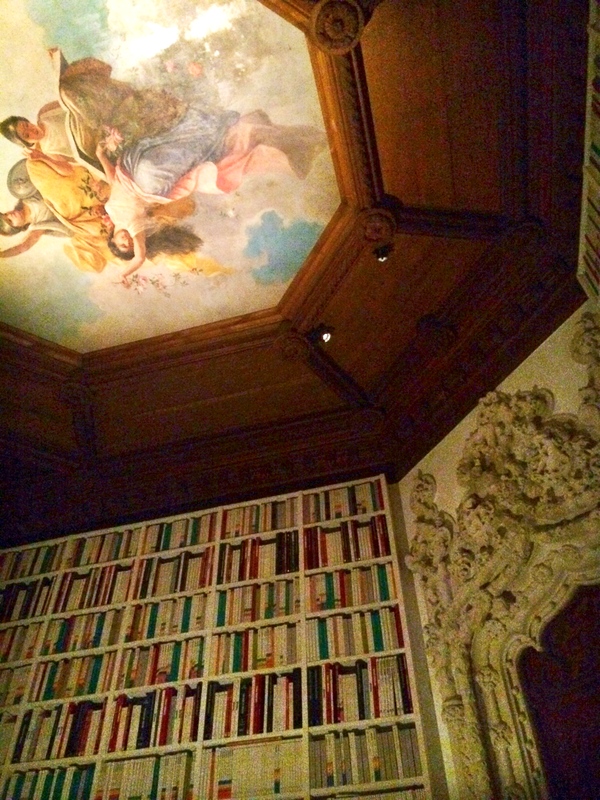 It has a 27-meter spiral staircase. 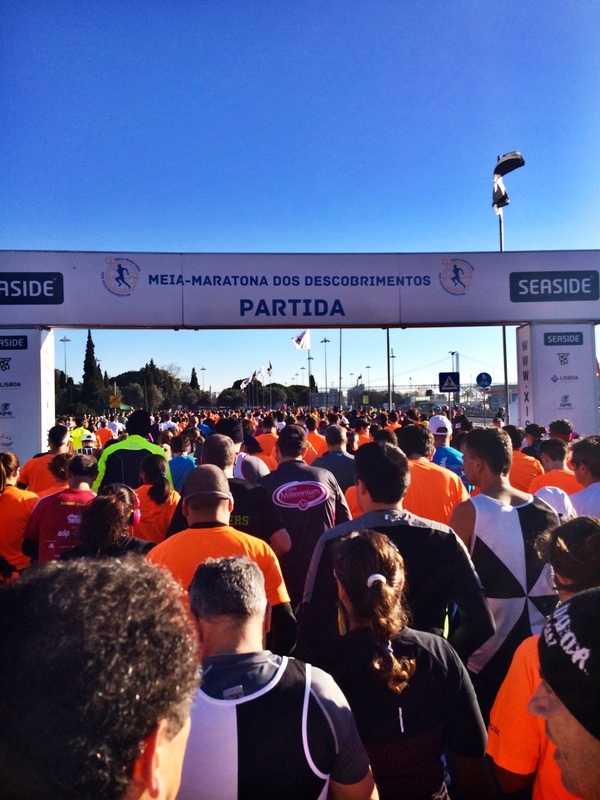 Since we had arrived late in the afternoon to Sintra we found ourselves in a race against the sunset and dwindling sunlight. 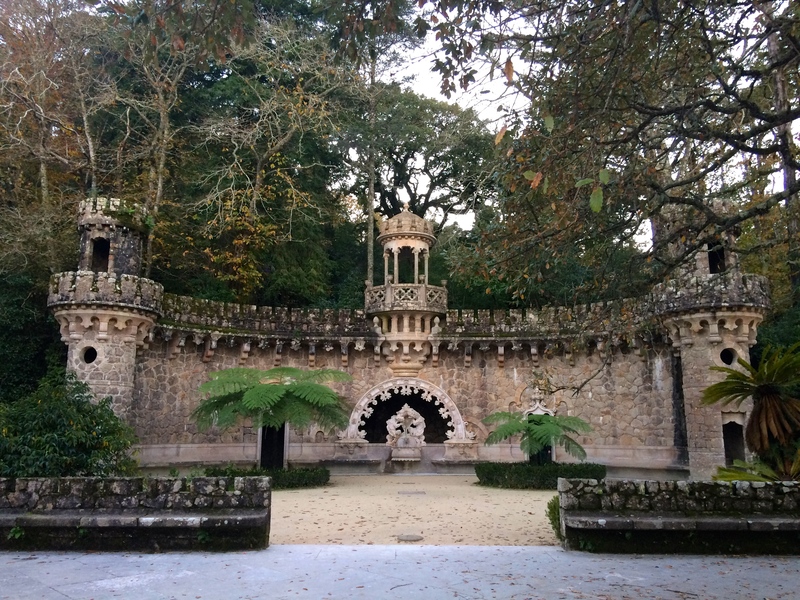 We were able to tour most of the grounds at Quinta da Regaleira before losing light and heading inside to the mansion at dusk. The palace served as many things throughout the years and had many owners. It’s original intention was as a summer home. The grounds and palace are a must see. We repeatedly said aloud how amazing it would have been as a kid living here. It truly was like walking through a Disney fairy-tale forest – full of secret paths, tunnels, ponds, and fun hiding places. A child’s imagination would have ran wild here. 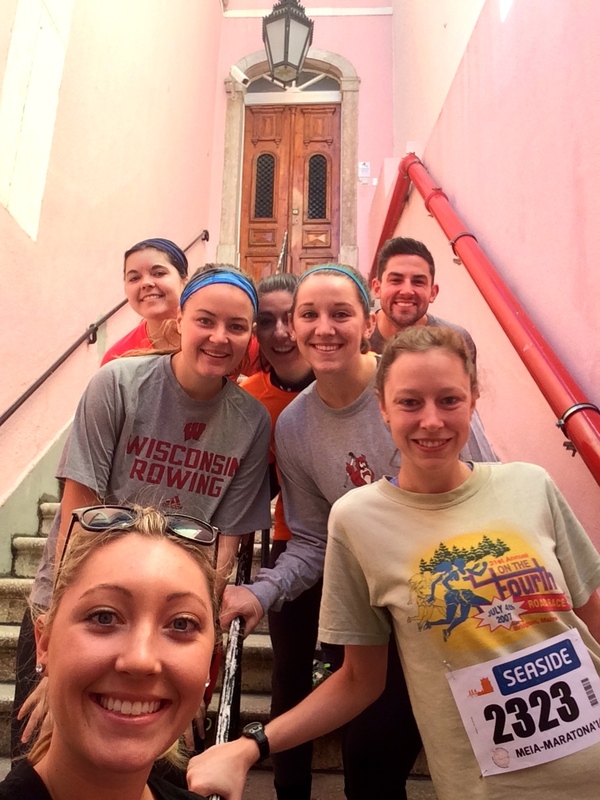 As we walked the windy streets from Quinta da Regaleira back down to the town we stopped for a pre-race carb-loading pasta dinner in Sintra. 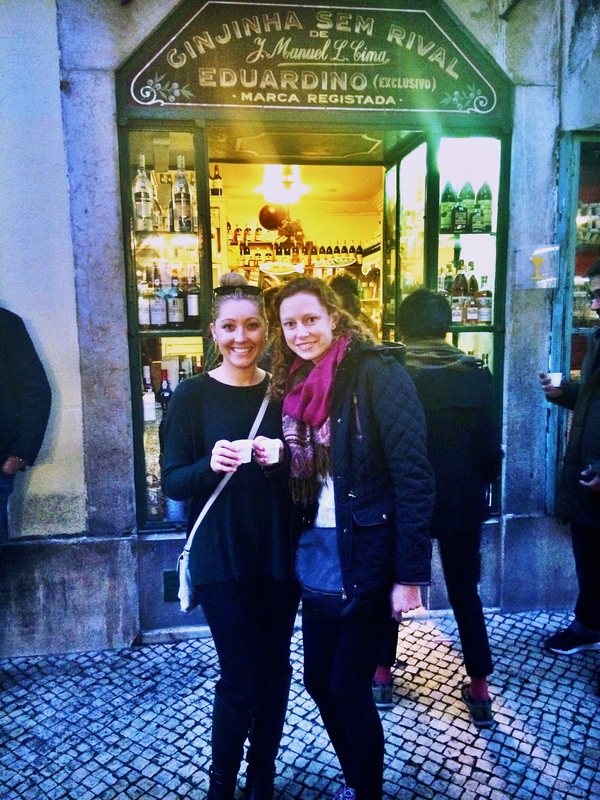 After a delicious, yet, disappointingly small portion meal we made our way back to Lisbon on the 30 minute train. A night of rest was in order before we awoke rested and excited on Sunday morning. It was a beautiful morning filled with blue skies and sun, and although brisk early on, the perfect weather for running greeted us as the starting gun was fired. 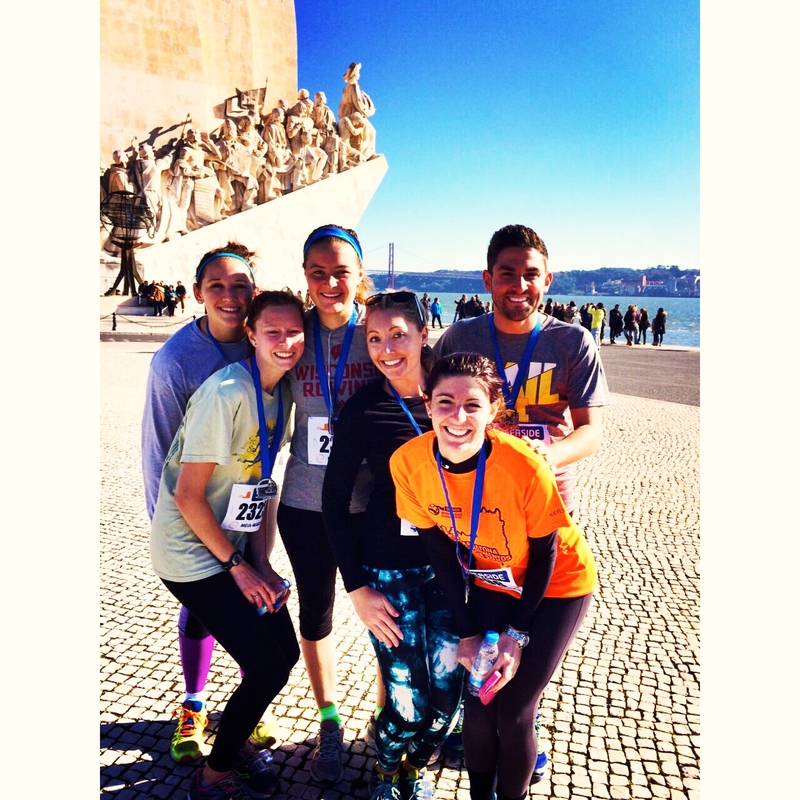 The race ran briefly through the city and then along the river for the remainder. It was a flat course which made it monotonous at times but the scenery helped off-set the boredom that sometimes kicks in while running. 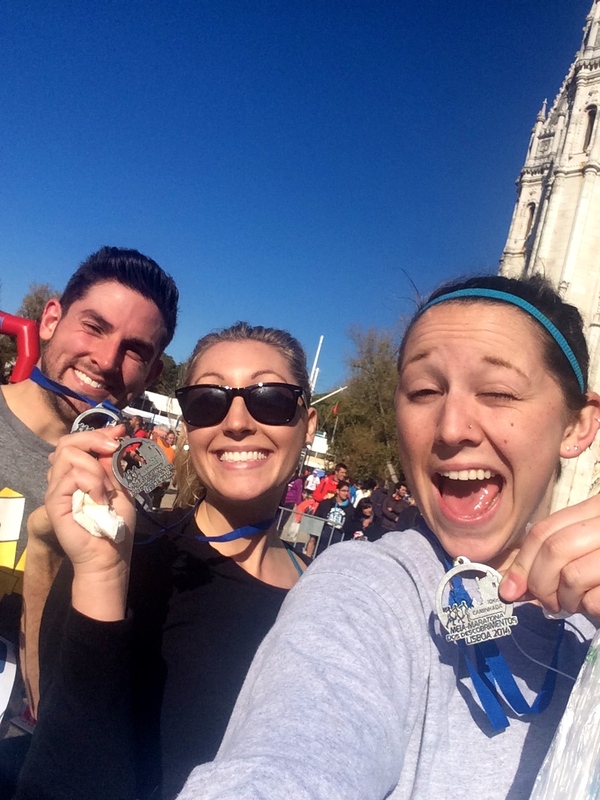 Myself and two others ran the 10k and four others completed the half-marathon. Spending my weekend traveling to a new city or country is nothing new, but traveling to said new city or country and running a race is; and I must say it was a pretty rewarding experience. Exposing myself to a new culture while simultaneously feeling like I belonged there as I ran side by side with the locals was a special feeling. 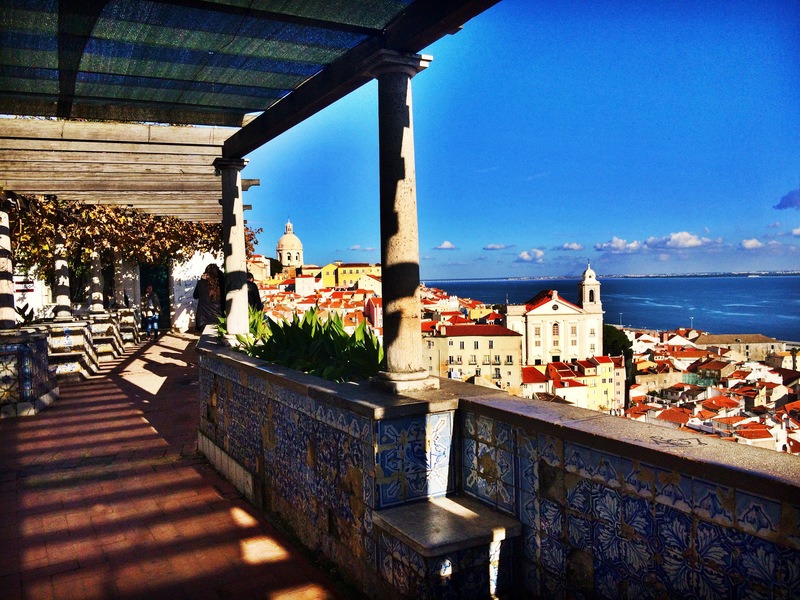 View from the terraces located in the old-quarter, Alfama.